If you don’t have a checking account or credit card, prepaid credit cards can offer you a convenient way to shop. However, you do have to be 18 to open an account. This is also the minimum age requirement to open a bank account or get a regular credit card, unless your parents agree to authorize the account and add you as a registered user. Your parents can normally do this over the phone when activating the account. Individuals cannot purchase a prepaid credit card until they reach the age of 18. A prepaid credit card is normally issued by credit card companies, such as Visa, Mastecard or American Express. It enables you to deposit a certain amount of money in the account and use that amount to make purchases wherever credit cards are accepted. For example, if you deposit $500, you get a $500 credit limit. Many prepaid cards also charge fees monthly for a variety of services, such as when you use the card, when you add money to it, when you get a balance inquiry and when you use an ATM. Normally, consumers get prepaid credit cards if they can't qualify for a credit card due to bad credit. Some consumers confuse prepaid gift cards issued by Visa, MasterCard or AMEX with prepaid credit cards, but these are not the same thing. You can purchase the gift cards at a grocery or other store at any age and use them wherever Visa, MasterCard or AMEX are accepted. These gift cards, which aren't reloadable, usually carry an activation fee along the lines of $4.95 for every $50 increment. You usually find them in denominations of $25, $50 or $100. Most prepaid cards don't report to the credit bureau, so having the card does not impact your credit. If you need to improve your credit, you may be able to find a card that does report or that will report if you request it. Typically, it costs the card issuer a fee to submit your information to the credit report agencies, so not all card issuers will be willing to do so. But it never hurts to ask. 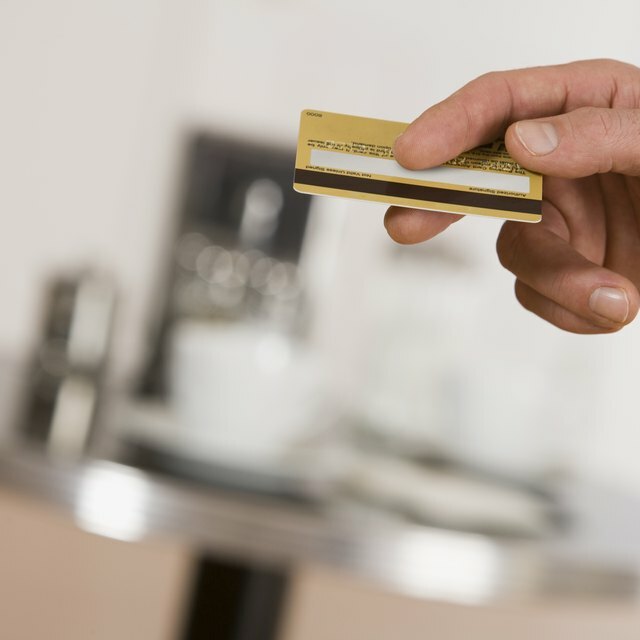 The Card Act, which protects regular credit card users, does not cover prepaid credit cards. This allows some issuers to charge excessive fees. So be sure you understand all the fees associated with a card before you set up an account. Most credit experts advise consumers to get a checking account instead of a prepaid credit card if possible. But, many also agree that the card can be a short-term solution until you can open an account or get approved for a credit card.